﻿ News Bharati - With INS Arihant completing its deterrence patrol, India declares nuclear triad operational! News Bharati - With INS Arihant completing its deterrence patrol, India declares nuclear triad operational! With INS Arihant completing its deterrence patrol, India declares nuclear triad operational! New Delhi, November 5: Emphasizing on the significance of the successful deployment of INS Arihant for the completion of India's nuclear triad, Prime Minister Narendra Modi congratulated the crew and all involved in the achievement which puts India among a handful of countries having the capability to design, construct and operate SSBNs. Prime Minister Narendra Modi received today the crew of Strategic Strike Nuclear Submarine (SSBN) INS Arihant. The submarine recently returned from its first deterrence patrol, completing the establishment of the country's survivable nuclear triad. 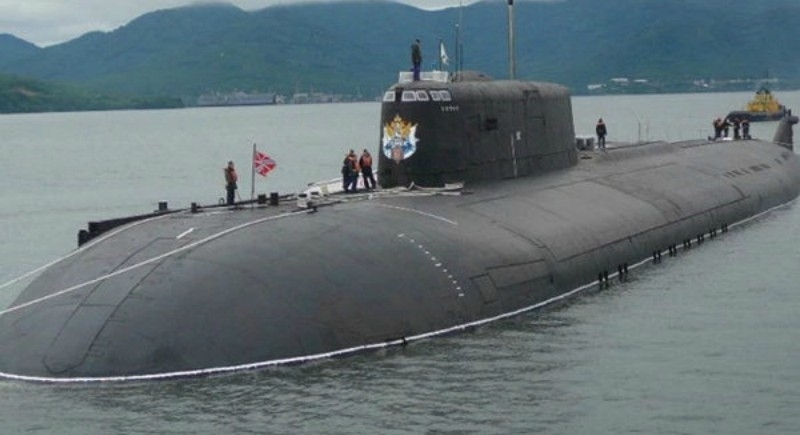 Noting that the indigenous development of the SSBN and its operationalisation attest to the country's technological prowess and the synergy and coordination among all concerned, the Prime Minister thanked them for their dedication and commitment in realizing this pioneering accomplishment enhancing immensely the country's security. PM Modi commended the courage and commitment of India's brave soldiers and the talent and perseverance of its scientists, whose untiring efforts transformed the scientific achievement of nuclear tests into establishment of an immensely complex and credible nuclear triad, and dispelled all doubts and questions about India's capability and resolve in this regard. The Prime Minister stated that the people of India aspire for a 'Shaktimaan Bharat' (Strong India) and building a New India. They have strived tirelessly to overcome all challenges in this path. He stressed that a strong India will fulfill the hopes and aspirations of over a billion Indians and will also be an important pillar for global peace and stability, especially in a world full of uncertainties and concerns. As a responsible nation, India has put in place a robust nuclear command and control structure, effective safety assurance architecture and strict political control, under its Nuclear Command Authority. It remains committed to the doctrine of Credible Minimum Deterrence and No First Use, as enshrined in the decision taken by the Cabinet Committee on Security in its meeting chaired by the former Prime Minister Atal Bihari Vajpayee on January 04, 2003.